Since 2015, Holy Apostles College & Seminary, which serves students from every continent, has dedicated itself to keeping tuition rates for graduate and undergraduate students affordable. To help students graduate as debt free as possible. Combined with a flexible online program that reduces housing costs, this represents an unparalleled bargain for an accredited quality Catholic Liberal Arts education. 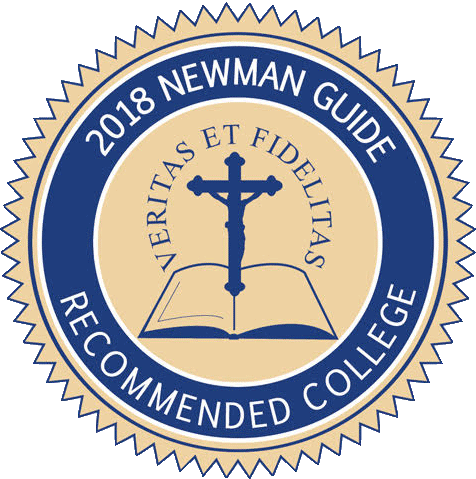 Holy Apostles’ educational program is distinguished again in 2018 as a Newman Guide Recommended College. In 2015, the college has been able to synchronize the tuition rates across all programs to $320 per credit hour, a 28% drop in rates for the undergraduate program and an 8.5% drop for the graduate program. Combined with the Holy Apostles ‘24/365 All Year Online Campus,’ undergraduate students can obtain a bachelor’s degree in as little as 2.6 years for an unheard-of low tuition investment. This path runs counter to current trends in education where only 30% of freshmen get a bachelors’ degree in four years. Graduate students can likewise benefit by obtaining their degree in about 1.6 years. A new student can get both a bachelor’s and master’s degree in four years and launch a career in less time with less cost. “This is excellent news and should be a headline story. It’s another manifestation that Holy Apostles is different from other colleges. You’re right, student debt is a significant deterrent for prospective students and a major problem for typical college graduates,” says MA in Theology student Tim Post. “Great news and, shall I say, unheard of in education! Tuition is going up around the country. Holy Apostles should be on the front page of blogs worldwide. You guys are amazing!” observed Dr. Leo Stouder, a MA in Philosophy student. About Holy Apostles College & Seminary: Holy Apostles College & Seminary www.holyapostles.edu is a regionally accredited, co-educational Catholic Liberal Arts college located in historic Cromwell, Connecticut, USA. Undergraduate, graduate, and seminary degrees in philosophy and theology, in on-campus, on-line and blended formats are offered. For more information contact info@holyapostles.edu or call 860-632-3010 (Main Office) or 860-632-3070 (Online Learning Office).